What does a Geophysicist do? 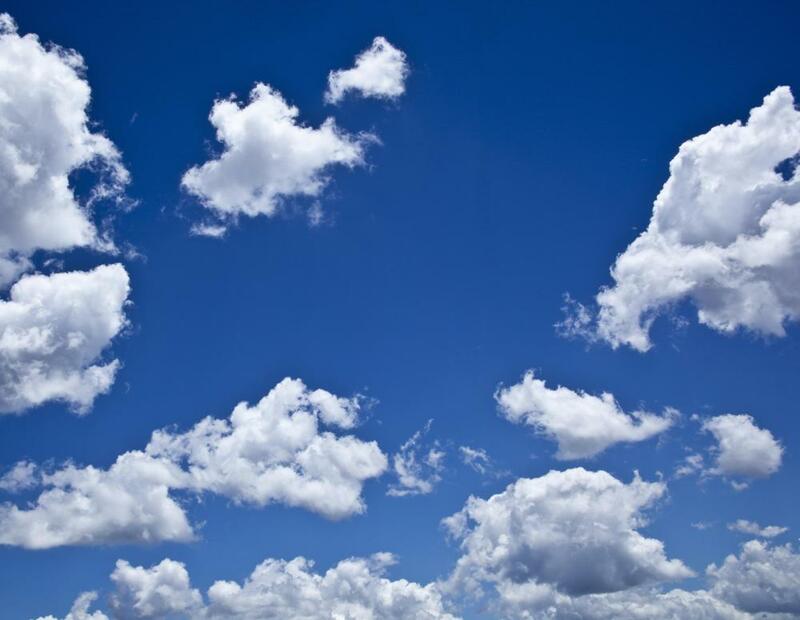 Geophysicists may study cloud formation to better understand weather patterns. A geophysicist may be interested in the movement of earth's tectonic plates. A geophysicist is a scientist who studies the physical properties of the Earth, and who may also study the physical properties of other planets along with moons and other objects found in space. In order to work in this field, it is usually necessary to have a graduate degree. Numerous universities around the world offer graduate programs in geophysics, with both masters and doctorate degrees available to students. The field of geophysics is actually quite broad, and a geophysicist may engage in a wide range of activities as part of his or her work. The study of geophysics includes the study of surface properties of the Earth, like the characteristics of the Earth's crust, the study of the atmosphere, the study of the interior of the Earth, and the study of the Earth's oceans. A geophysicist can work in the field, collecting data, making observations, and calibrating equipment. Geophysicists are also found in the lab performing controlled experiments and conducting analysis of samples, in the classroom teaching students, and in the employ of government agencies and private organizations interested in topics within geophysics. Anyone who has a deep interest in the physical properties of the Earth might be interested in a career as a geophysicist. Some topics studied by geophysicists include: the components of the inside of the Earth; earthquakes; volcanoes; weather patterns; the movement of tectonic plates; the formation of the Earth and other planets; properties of planets; potentially habitable planets beyond Earth; the geomagnetic field associated with the Earth; mapping and measuring the Earth; and the role of the ocean in the world's climate. One interesting area in geophysics is geophysical exploration. Companies which utilize natural resources like oil and minerals usually hire geophysicists to survey areas of interest and develop reports which are used to determine whether or not further investment is worthwhile. Geophysicists can also work for government agencies, monitoring the activities of companies which exploit natural resources, enforcing boundaries between resource claims, and studying the way in which resource extraction impacts the environment. This career comes with some hardships. It is often necessary to travel to remote areas to get measurements or to explore new natural resource claims, and conditions at these areas may be primitive. There's also a lot of take home work, and a geophysicist must be prepared to pursue continuing education for life, attending conferences, subscribing to trade publications, and engaging in other activities which will increase depth of knowledge in this field. How Do I Become a Petrophysicist? How Do I Become a Seismologist? What are the Different Geophysicist Jobs? How do I Find Geologist Employment? Is it necessary to learn computer code in order to succeed in a career in Geophysics ? @anon290866: As for branches such as hydrology, in the geophysics, I assume that you will not need much field experience. However, for other branches, such as engineering geology, experience in the field is certainly a very big plus, if not a required prerequisite. When I was talking about this field experience earlier, I was actually talking with engineering geology in my head, because I had searched for that earlier I mixed it up. I have half a year of experience in studying geology. little less serious than letting a doctor operate without getting any experience first, if you don't have any experience in the field. However, geology has a lot of branches (like geochemistry, geophysics) and these have sub-branches again. For some of those branches in the geophysics, you will not need that much field experience, rather you will need a good understanding of physics, but you must also be able to understand and work with geological methods and have a thorough knowledge of the branch of geology you are interested in. I would, however, say that field experience will give you a considerable advantage in any field of geology, yes, also with interpreting computer data. It still is an earth system, and in the field things just become a lot clearer. It is like getting to see a heart for the first time after only having seen (biological) drawings of a heart. A real heart is a considerably different image, but furthermore, you might detect different things in that heart that you haven't detected earlier. For example, you will be able to feel the hardness of the heart's muscle tissue, or discover more of its interior structure. You could argue that this could also be seen in photographs. This is true, however this time, you will have close ups of all the (new) components we want to see in the blink of an eye. In that same blink of an eye, we can also see how the heart's veins/arteries connect to other organs (bigger systems) and also how it is connected to itself (sub-systems/smaller systems). The fact is, geology is composed of just so many more components than something like the organs of a body. So, you cannot see or memorize many of the connections if you do not get any field experience. That's just how complicated the system is, even if it may not seem like it, it is. It's not about memorizing stuff; it is about understanding the system, because memorizing everything like this would be insane. Every sub-system is different and can be explained a lot better if you already have some experience in explaining other systems, but you need some experience in this to better understand the other systems I would argue. That is where the problem lies, still however, I think you could have a fair chance in some (geophysical) branches. Just try. letting you figure out a lot/letting you do a lot by yourself too. You must have at least some experience in this, or when you're in the field, you will probably be pretty useless. These are things you seriously can't learn well from a book. You need this practical experience; it really is very important. I've been in the field just four days, but what I learned there, applying my knowledge, was such an incredible amount and just can't be provided by books. I think that it would be possible for you, but you must get some experience in the field first, with some experts to guide you (maybe it's possible some way or another). I wonder if a degree in Geophysics, Geology or the like is in fact needed to become a Geophysicist, or if a general mathematician like me, given some time and study, can be hired directly as Geophysicist. What are the subjects that you study in university for this? Seems like this would be a great job for someone who is adventurous and doesn't like being stuck indoors--but how can kids like this get experience in this field? Must they wait until graduate school to focus on this topic?